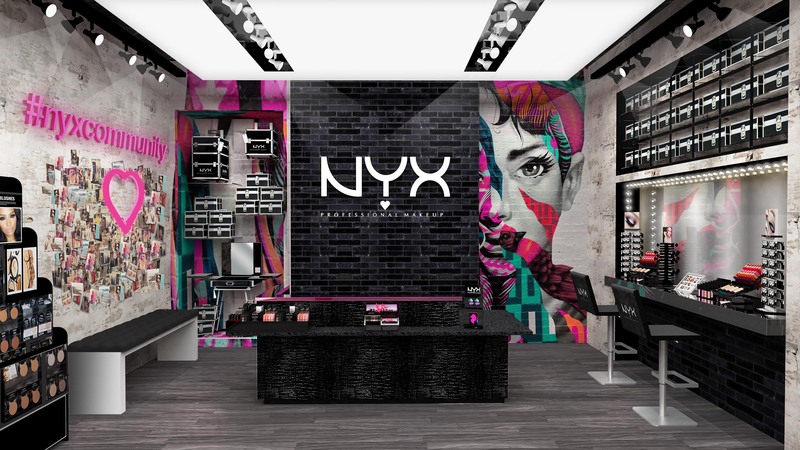 Developed to mimic their massive internet presence, the design prototype for NYX cosmetics needed to be edgy, modern, and feature pops of the brand’s signature pink. 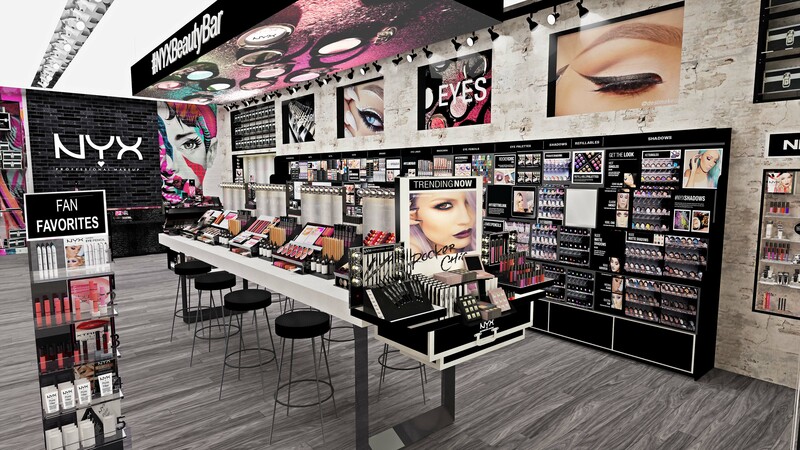 Utilizing large, digital displays as wall features, the ever evolving makeup looks create a fast paced back drop for the store. 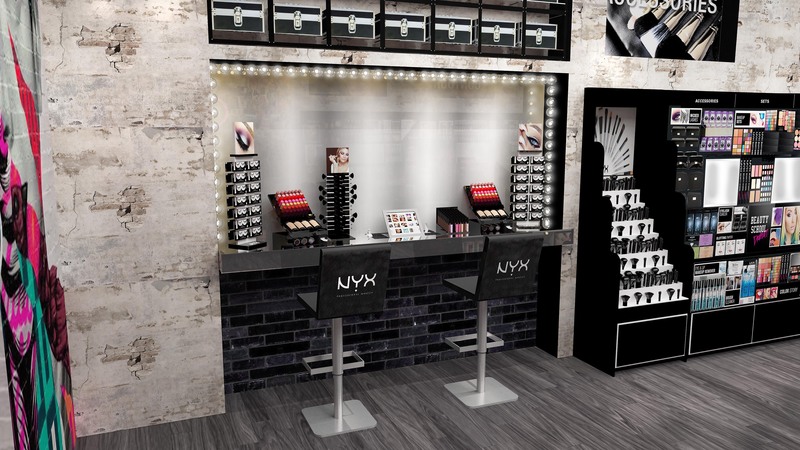 Fully integrated into merchandise fixtures, touch-pads offer customers tips and tricks from the pros and easily direct them to all the products needed in a quick and easy fashion. 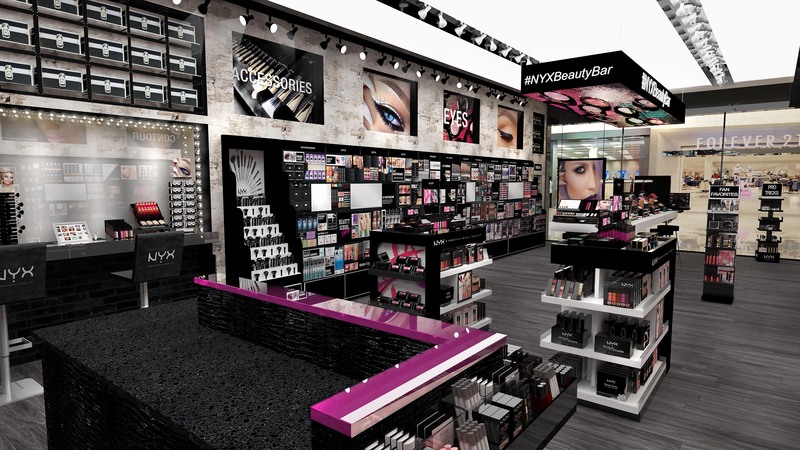 displaying new products for purchase. The edgy yet neutral white brick walls play off the over the top glam pink lighting.